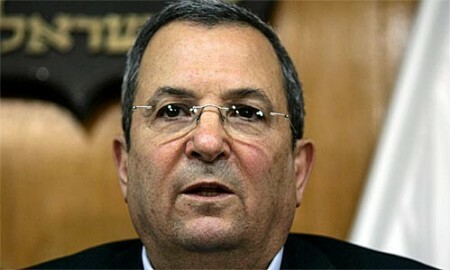 Ehud Barak, the Israeli defense chief, is visiting as Washington is perceived to be softening its stance toward Tehran. July 30, 2008 WASHINGTON — Bush administration officials reassured Israel’s defense minister this week that the United States has not abandoned all possibility of a military attack on Iran, despite widespread Israeli concern that Washington has begun softening its position toward Tehran. In meetings Monday and Tuesday, administration officials told Defense Minister Ehud Barak that the option of attacking Iran over its nuclear program remains on the table, though U.S. officials are primarily seeking a diplomatic solution. The Bush administration appears set to offer Israel a powerful radar system that could greatly boost Israeli defenses against enemy ballistic missiles while tying them directly into a growing U.S. missile shield. President George W. Bush is expected to discuss the matter during a visit to Israel starting on Wednesday to mark the 60th anniversary of the Jewish state amid mounting U.S. concern over perceived threats from Iran, people familiar with the matter said. This is “probably the No. 2 issue” on Bush’s agenda for the visit, second only to the Middle East peace process, said Rep. Mark Kirk, an Illinois Republican who has spearheaded calls in Congress for tighter U.S. missile-defense ties with Israel. Gordon Johndroe, a White House spokesman, said in an e-mail, “While the U.S. and Israel cooperate closely on defense matters, there will not be any announcements during next week’s visit.” Bush is also to visit Saudi Arabia and Egypt. Richard Lehner, a spokesman for the Pentagon’s Missile Defense Agency, which is developing the multibillion-dollar layered shield, said questions about a new radar system for Israel were a “policy issue” outside the agency’s purview. The system Bush may offer is known as a forward-based X-band radar. Transportable by air, it uses high-powered pulsed beams for extremely high-resolution tracking of objects in space such as a missile that could be tipped with a chemical, germ or nuclear warhead. Built by Raytheon Co, the system has been described by U.S. officials as capable of tracking an object the size of a baseball from about 2,900 miles away. It would let Israel’s Arrow missile defenses engage a Shahab-3 ballistic missile about halfway through what would be its 11-minute flight to Israel from Iran, or six times sooner than Israel’s “Green Pine” radar is currently capable of doing, Kirk said in a telephone interview on Friday. Kirk is a commander in the U.S. Naval Reserves who confers with Israeli officials on missile defense. He serves one weekend a month as deputy director of intelligence in the Pentagon’s National Military Command Center. With an X-Band system at work, he said, a missile intercept theoretically would take place over Iran or a neighboring state and not over Israel.